Minilite - I Say Ding Dong Shop - Buy Stickers, Decals & Unique Automobilia. 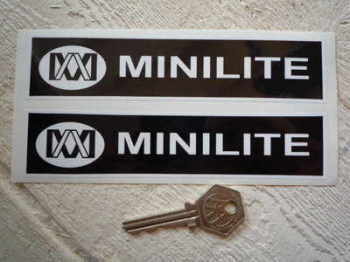 Minilite Black & White Oblong Stickers. 6" Pair. 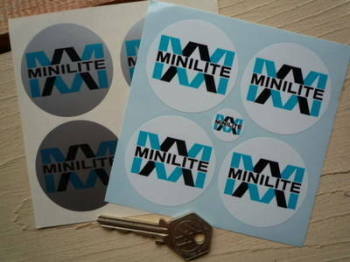 Minilite Blue & White Shaped Stickers. 6" Pair. Minilite Circular Stickers. Set of 4. 50mm. 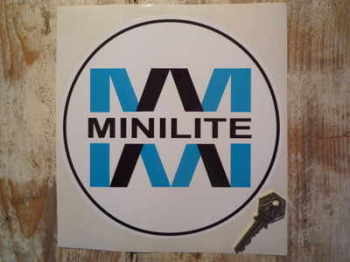 Minilite Logo Circular Sticker. 8". Minilite Logo Circular Stickers. 4" Pair. 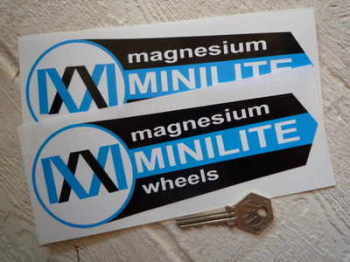 Minilite Magnesium Wheels Shaped Stickers. 7.5", 9", or 12" Pair. Minilite Pale Blue & White Shaped Stickers. 6" Pair. 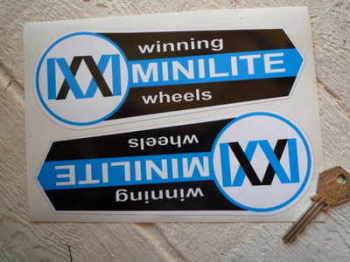 Minilite Winning Wheels Shaped Stickers. 7.5" or 12" Pair.